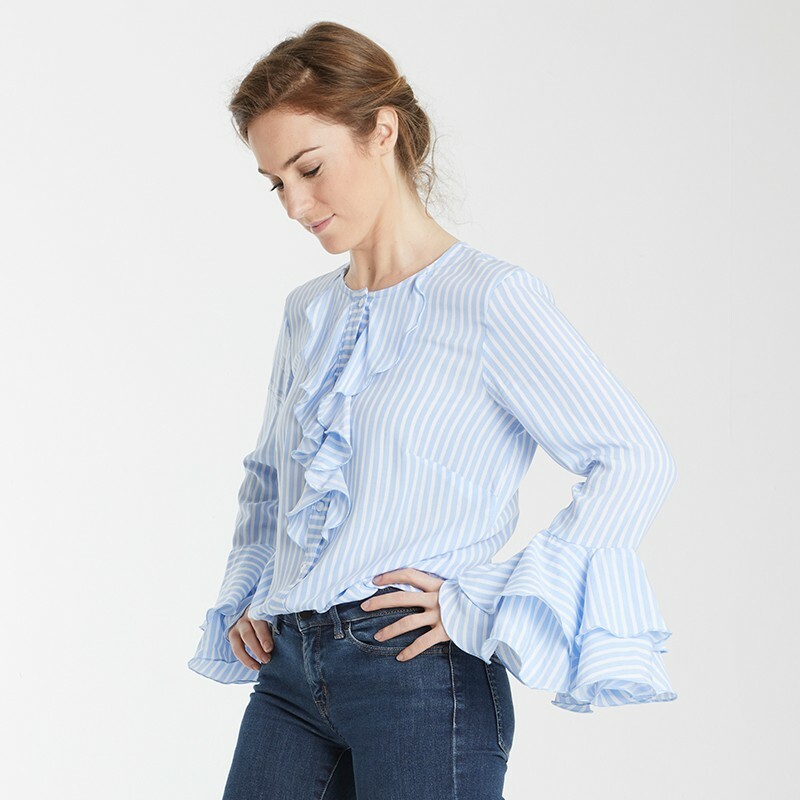 Elodie is a ruffle blouse with or without flounces at the bottom of the sleeves. Elodie is a part of this trend and will accompany you all season. For this model, prefer soft and fluid materials such as silk, crepe, cotton voile. The blue version with white stripes was made in viscose from Toto. 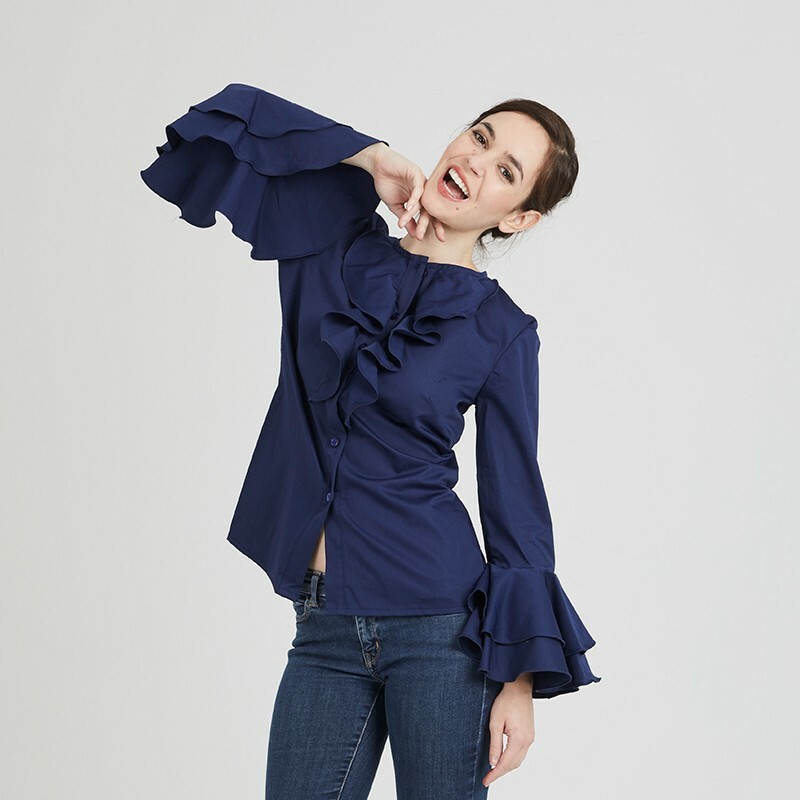 The dark blue version was made in a cotton from Sacrés Coupons. 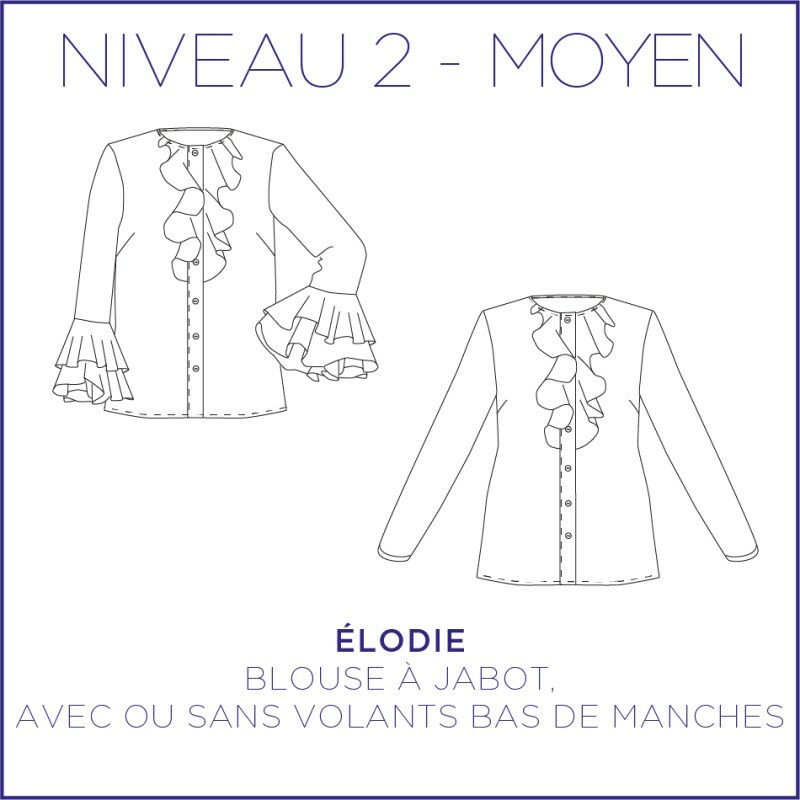 The patterned version was made in a silk veil from Les Coupons de Saint-Pierre. 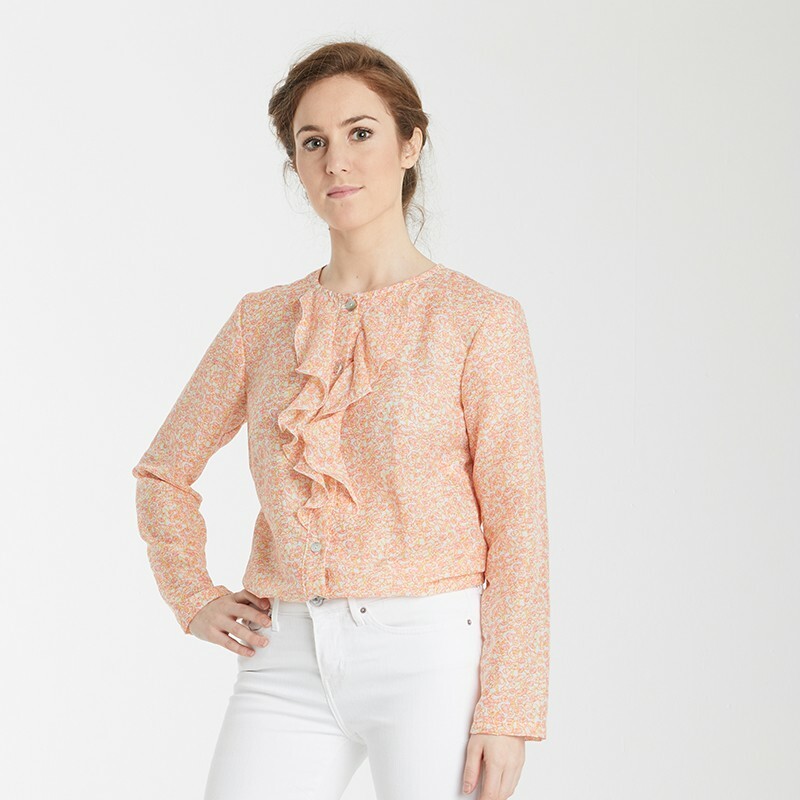 The green and orange versions without ruffles at the bottom of the sleeves are made in a cotton veil from Sacrés Coupons. The white cotton veil is from Fleur de tissu. Coralie B. On 2019-03-12 Patron réalisé déjà deux fois. Modèle facile à coudre qui rend magnifiquement bien. Merci pour ce modèle !